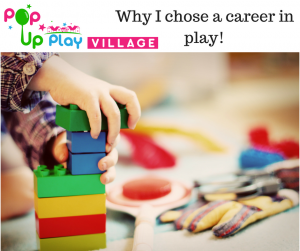 After spending 8 years teaching the early years curriculum, I completely understood and valued the importance of children being able to play. This is the way that they discover and learn about the world around them. The best form of play that I have seen is where the children initiate what they want to play with. Sometimes this is done by observing and joining in with other children’s play and sometimes it is completely independent and unique to that child. As a teacher, I was always trying to find ways of making the play environment exciting. We would set up the classroom for the day covering all of the different learning areas such as literacy and mathematical development, physical skills, communication and social skills and creativity through arts and role play. Through the children’s eyes, there were lots of interesting toys to play with and from a teacher’s viewpoint, I was there to capture and extend the children’s learning whilst they played. What I loved about teaching was that every day was different and as the children’s learning progressed, I had to come up with new play opportunities to extend their learning even further.